A couple of weeks ago, I went to Monterey, California for a wedding. The weather was perfect all weekend, and the ceremony was held on a beautiful beach in Carmel. 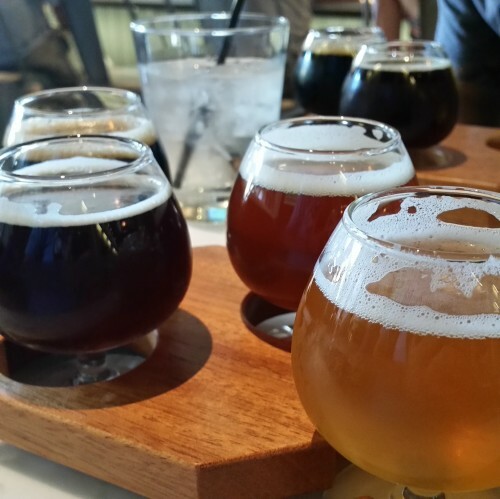 Of course, I didn’t spend the entire weekend outside in the sun, I also explored some of the best craft beer offerings around the Monterey area. While other areas of Northern California have long-established craft beer scenes, Monterey’s has been a more recent development. 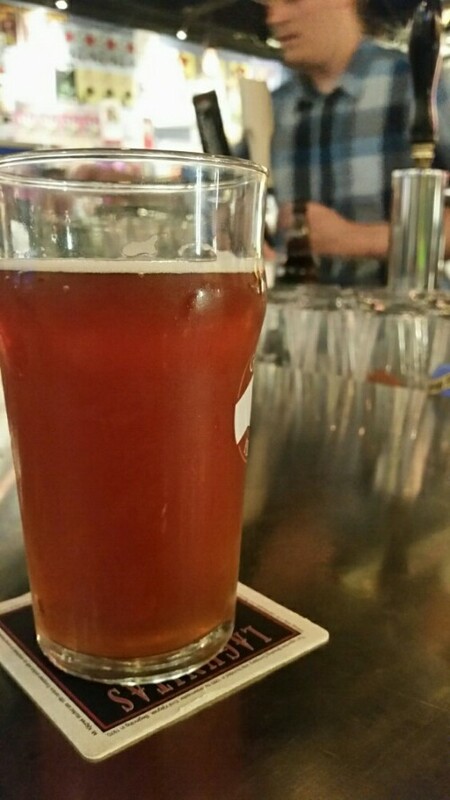 During the weekend, I visited 3 noteworthy beer bars around the city. Here is my guide to the best craft beer in Monterey. Billed as the first microbrewery in Monterey, Peter B’s Brewpub first opened as a restaurant in 1978, but it was only in 2011 that it evolved to what it is today under brewmaster Kevin Clark. The brewery is nestled behind the Portola Hotel, making it convenient to reach no matter where you’re staying in Monterey. Peter B’s was our first stop on Friday night. The food offering was typical pub fare done well, with a particularly cheap happy hour. I had the crispy cheese curds, some wings, and a beer sampler tray, with the bill (including tax and tip) only being $17. As far as the beer, overall it was fine. Of course, my beer standards are very high, but Peter B’s is a decent place for food & some beer if you’re in Monterey. 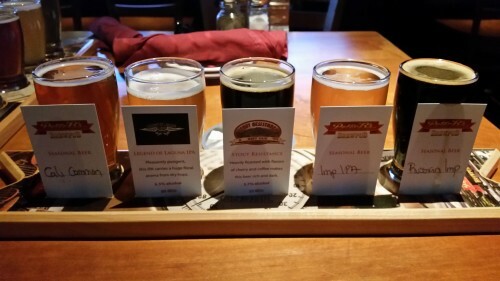 I had their California Common, Legend of Laguna IPA, Stout Resistance, Imperial IPA, and Russian Imperial Stout. The Russian Imperial Stout was my favorite. After Peter B’s, we got a taxi to Post No Bills, a fantastic craft beer bar in the nearby town of Sand City. The somewhat-remote location was the only negative about the place. A taxi ran about $10-12 each way, which wasn’t bad, though it’s not as convenient as the microbreweries in downtown Monterey. The crowd in the bar was a good mix of people, and they appear to hold lots of special brewery events, which is always a plus. With hundreds of beers available, including fridges full of high-quality and hard-to-find beers, plus around 20 taps, Post No Bills is a beer lovers paradise. We only stayed for 2 beers, but I could have easily stayed longer to go through more of their huge selection. I did buy a bottle of Firestone Walker Velvet Merkin to take home for later. While we were there, I had a Contender IPA from El Toro Brewing Company in nearby Morgan Hill, as well as Fall Hornin’, a pumpkin beer from Anderson Valley Brewing Company in Boonville. The day of the wedding was hot, so after wandering around Fisherman’s Wharf and downtown Monterey for a bit, a beer sounded perfect. My friend & I had a bit of time to kill before having to get ready for the wedding, so we stopped at our final bar of the trip, the recently opened Alvarado Street Brewery & Grill, which appropriately enough is located on Alvarado Street. Considering they have only been open since May 2014, Alvarado Street Brewery is doing some impressive work. I’m particularly a fan of craft breweries that are willing to be adventurous with their ingredients. Sometimes it works, sometimes it doesn’t, but the important thing is that they’re out there trying, and I have all the respect in the world for that. I had another beer sampler at Alvarado Street, selecting their Doc Brown, their grapefruit IPA, and 2 other beers that I thought were excellent. The first of these was their Local Shred Red Ale, with serrano peppers added. The peppers added a lot of flavor without packing too much heat, leaving a nice balance in the beer. My final beer at Alvarado Street was called Andes Mint Porter. Interestingly enough, we’d just been talking about Andes mints at lunch, and how they should come at the end of every meal, so the timing was perfect. The porter was on cask, which let the mint & chocolate shine, perhaps a bit too much. I’d like to see a bit more chocolate flavor in the beer as opposed to the mint, as that flavor can be quite powerful. It was perfect as a sample, though I don’t think I’d be able to have an entire pint of it. 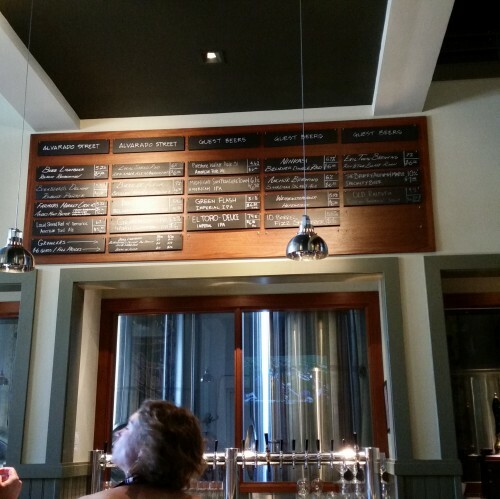 While there are other places to drink craft beer in Monterey that I wasn’t able to get to on a weekend trip, Peter B’s Brewpub, Post No Bills, and Alvarado Street Brewery are helping put the area on the beer map. I’m excited to see how the scene grows by the next time I go back.